Posted June 24th, 2016 by The Antique Register & filed under Exploring Arizona. 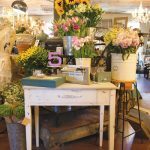 5ive A Vintage Market in Prescott is getting ready for two very special upcoming events in July—an anniversary celebration plus the opening of a new coffee bar—so publishers Barb Stillman and Lolly Konecky recently headed over for a sneak peak. They felt 5ive’s creativity and charm from the moment they walked in. 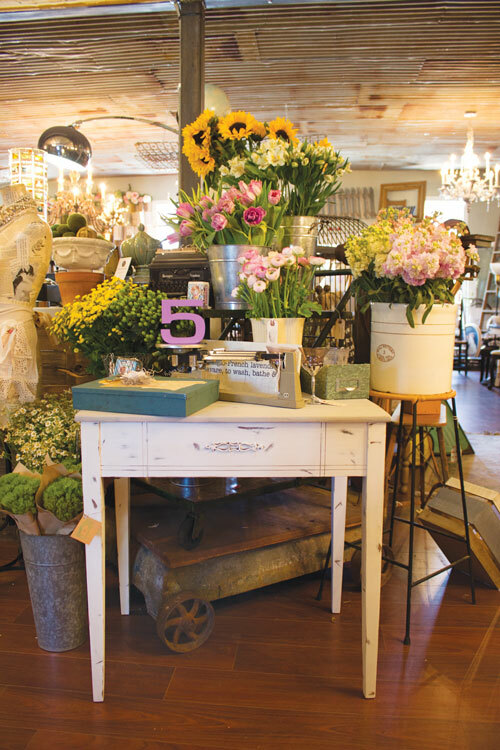 Owners Cheryl and Dean Petersen and their team create a brand new experience each weekend at 5ive by restaging the entire store to feature the new items they have picked throughout the week. This guarantees that customers will be treated to a fresh look when they shop. During the week of July 1 to 4, 5ive will celebrate its One Year Anniversary with lots of activities, including jewelry, floral, chalk and milk painting workshops, special artists, coffee tasting and more “fun stuff.” There will also be a $100.00 gift card drawing to say thank you for an amazing year! On July 4th from 11 a.m. to 3 p.m., the festivities will include coffee sampling, cupcakes and live music to preview 5ive’s new coffee house, Black Dog Coffee & Tea, which will open at the end of July. Cheryl and Dean have found that 5ive is a place where friends gather to shop and catch up so they decided to add coffee to the mix. 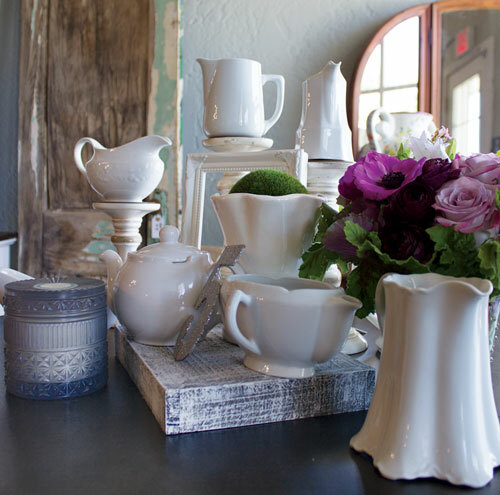 They will also have loose-leaf green, white and black teas as well as cinnamon rolls, pies and cookies from their local friends at Rustic Pie Co. The coffee space will also have new products, such as flour sack towels, trays, kitchen linens and other fun items to choose from. It has been designed to be a really relaxing and hospitable space with their customers’ comfort first in mind. 5ive is located in a building that was built in 1923 as a grocery store and has been several businesses since then. The Petersens have taken on twice the square footage in the building and now there are over 3,000 square feet all under one roof. They installed rusted corrugated tin ceilings from a cotton gin in Tucson in addition to multiple chandeliers and unique wall treatments. 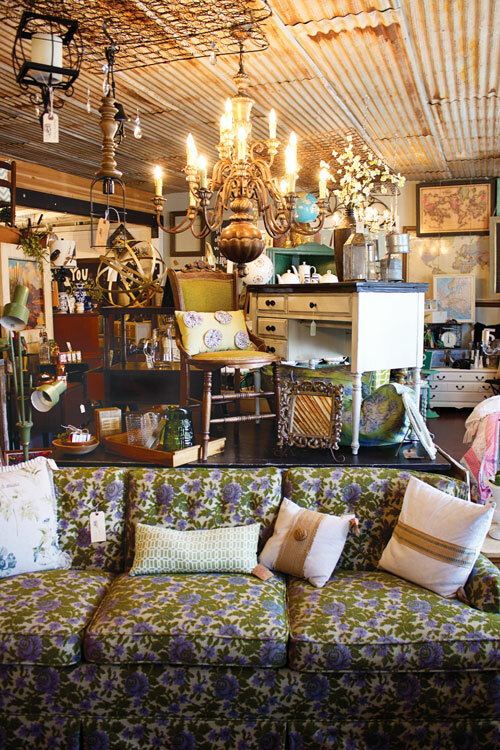 The overall décor has a unique, eclectic look featuring shabby chic, industrial and mid-century. 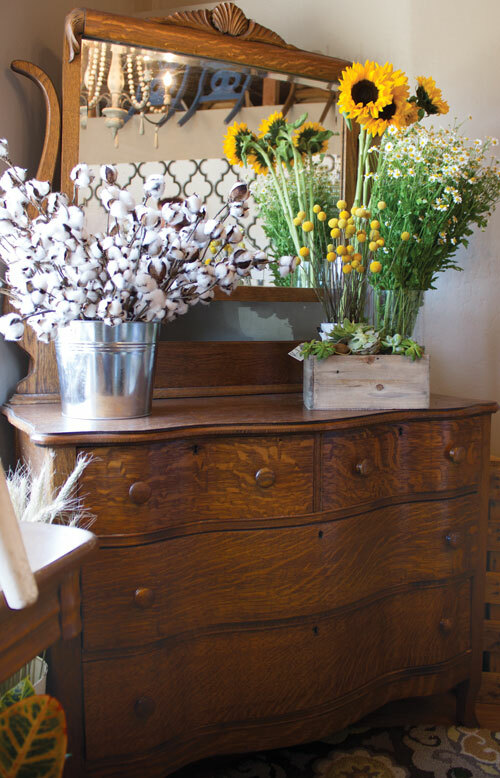 Included in the Market’s offerings is a full-scale floral design studio, Melinda Dunn Design, that provides floral arrangements for events and weddings and fresh floral wraps each week. 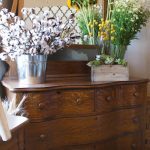 In addition, there is One Hundred Chairs, a company that rents everything from vintage chairs and sofas to serve ware for weddings and events for a truly personalized look. Top quality new product lines include: Paddywax Candles, Capri Blue Candles, Anne Taintor and Curly Girl Design greeting cards and stationary selections and Cavallini & Co paper wraps that can be used for decoupage or wall hangings. 5ive is also very proud to have jewelry designed and handmade by Patti Pruhs, owner of Three Beads and a String. 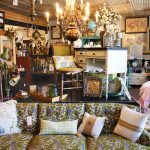 5ive A Vintage Market is located at 514 E. Sheldon Street, Prescott. Market hours are Friday and Saturday from 10 a.m. to 5 p.m. and Sunday, 11 a.m. to 4 p.m. For more information, visit 5ive A Vintage Market or Black Dog Coffee & Tea on Facebook or call 928-899-6557.